Mike and I had two things on our agenda following our New Orleans trip. 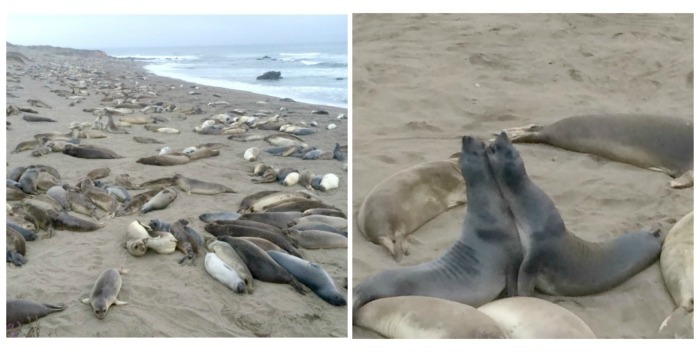 The first was picking up our new Bernese Mountain Dog puppy and the second was to include a little bonus “sidetrip” to Cambria, CA. Our flight home from New Orleans had a scheduled layover in Los Angeles so we decided to get off the plane there and head to Cambria. We discovered that airlines frown on this type of situation and they will NOT reroute your bags! We solved that problem by packing what we needed for 3 days into our carry-on bags. Just a little FYI, in case you decide to do something similar. 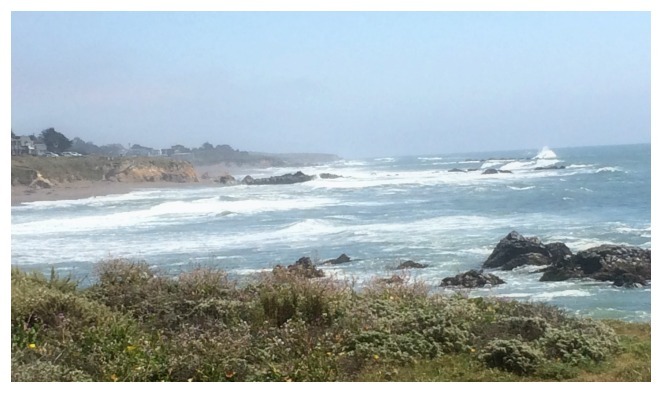 The name “Cambria” brings back so many memories….camping with our kids, romantic weekends with my husband Mike, hours on the beach digging for moonstones and watching for sea otters. For those of you that aren’t familiar with Cambria, it is a seaside village located midway between San Francisco and Los Angeles on California Highway 1. 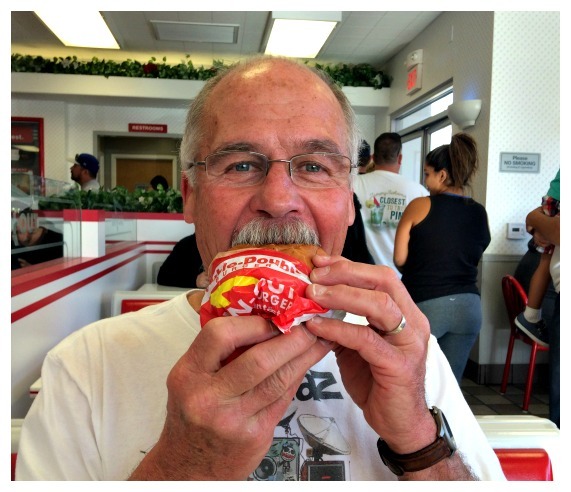 Of course an opportunity along the way to grab a delicious burger at an “In and Out” is something we didn’t want to miss. Mike was a happy camper! 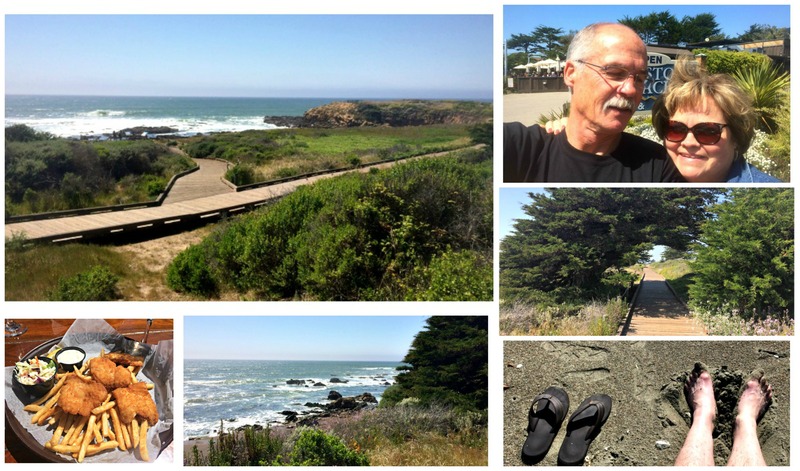 We stayed two nights in Cambria at “The Creekside Inn”. It is centrally located and turned out to be a delightful little place to stay. The staff was friendly and every morning there were locally made pastries, fruit, juice and coffee in the lobby. No visit to Cambria is complete without having our usual fish and chips at “Moonstone Beach Bar & Grill”. They have a great patio area facing the beach so you get the best of both worlds, good food with a glass of wine and the sight and sounds of the ocean! There are so many fun shops to explore while in Cambria. On this trip I found a new favorite, “JunkGirls”. It is full of wonderful old things that have been repurposed, which by the way, is another one of my passions. Take a look at their website junkgirls.com. You can also find them on etsy.com and Bloomingdales also carry some of their creations. 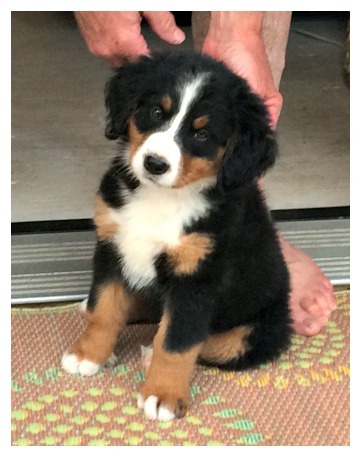 Now on to “Cedar Creek Bernese” in Paradise, California to pick up our new puppy! Mike and I have been watching her grow up via pictures on the Cedar Creek site and actually chose our new little girl via facetime. We were so excited to finally meet her in person. She was everything we expected, a beautiful, adorable bundle of fur. After several days of deliberation we finally decided to name her “Juno”. I have read that dogs have an easier time learning their name when it is just two syllables and ends in a vowel. Maybe that helped, she definitely knows her name already! Wow, did I ever forget how much work a new puppy is! There have been recent days when I’ve wondered, “What in the world have we done?”. Thank goodness she is so cute and loveable. I’m looking forward to the day she realizes our grandchildren are not just her giant chew toy! She loves them and they love her back. I was so anxious to do “everything perfectly” with Juno. I read lots of advice on the care and training of a puppy. After all, this could be the very last puppy we ever have, right? One thing I have learned is that everyone has a different method or concept and all that information can be overwhelming! I have now decided that having a new puppy simply takes a lot of love, patience, and consistency on my part and it is an exhausting endeavor. I’m certain I won’t do it all “perfectly”, but I will try to do my best. Sounds familiar to raising a child doesn’t it? Now on to puppy class…I’ll keep you posted.